Today is a very happy but sad day for me. 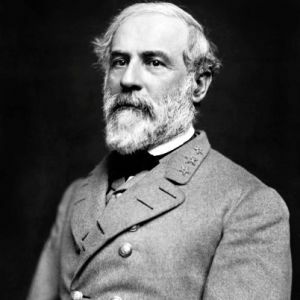 Joyous because today is the day we true Southerners celebrate Robert E. Lee’s birthday. Sad because this year this is the day my Father died in 2004. Two great military men and two men of unquestioned integrity. Of course the history of Robert E. Lee is widely known. A great yankee general who chose to side with his beloved state of Virginia rather than support the War of Northern Aggression. Despite few supplies and double-crossing foreign “allies”, he almost single handedly led the South to victory. Almost. One can only imagine what the world would be like had the South won. We certainly would not have the massive, invasive, all-encompassing government we have today which meddles in every aspect of our lives. Less well known is my father’s history. Desiring a military career from a very early age, he sneaked into the Army at 15 and went on to distinguish himself by making the rank of Major in 7 years. On D-Day he hit the beach at Utah. 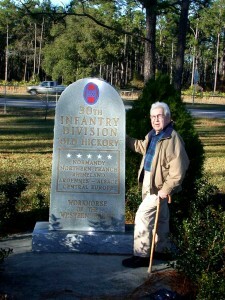 Surviving the landing, he fought with his 30th Infantry Division known as “Old Hickory”. Dad at Camp Blanding, in 2004. He fought his way to the battle of St Lo where, during an heroic mission behind enemy lines, he was grievously wounded by a german artillery shell. He laid between the French hedgerows for 2 days before being rescued and spend 3 more days on the beach before being evacuated to a hospital ship. By the time he arrived at the ship, gangrene had set in and he was triaged to die. And he would have, had a certain nurse not thought he was too cute to die and slipped him the then-invaluable penicillin. Multiple surgeries and 2.5 years in a body cast later, he had nothing but scar tissue for a hip and one leg 3″ shorter than the other. He was nominated for the Metal of Honor but his nomination was lost when a company HQ was destroyed by german bombing. As it was, he earned a silver star for Galantry. About 2000, I started to try to get him his Medal, putting together evidence from still-living comrades. But he made me stop, telling me that this country had already rewarded him enough. Of course, the greatest things he did was to father my brother, Dr Eben DeArmond, Jr and myself! Those were certainly his proudest achievements. So on this special day, here a tip of the hat to both of you. 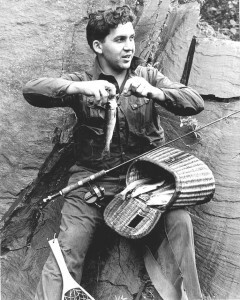 Dad, I hope you and Robert are having fun telling war stories and have found the peace you both deserve. Great story about your Dad, John. It’s no surprise to find that you come from such stock. John, that was a very interesting read. My father served in the 101st airborne for 32yrs. I am proud of his service overseas even though the conflict wasn’t popular. He and so many thousands served with honor, only to come home to ridicule. Great family history. I have some interesting connections. I had one uncle who died in France during the European invasion, and an uncle on the the other side of the family who was only a young boy at the time, with a severe osteitis infection in his leg and would have lost it except my grandfather was a Washington DC policeman with connections and was able to get him some penicillin. Wow, its a wonderful history, thanks for sharing!